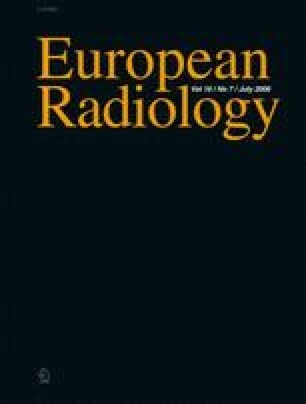 The aim of the study was to evaluate the potential of new-generation multi-slice computed tomography (CT) scanner technology for the delineation of coronary artery stents in an ex vivo setting. Nine stents of various diameters (seven stents 3 mm, two stents 2.5 mm) were implanted into the coronary arteries of ex vivo porcine hearts and filled with a mixture of an iodine-containing contrast agent. Specimens were scanned with a 16-slice CT (16SCT) machine; (Somatom Sensation 16, Siemens Medical Solutions), slice thickness 0.75 mm, and a 64-slice CT (64SCT, Somatom Sensation 64), slice-thickness 0.6 mm. Stent diameters as well as contrast densities were measured, on both the 16SCT and 64SCT images. No significant differences of CT densities were observed between the 16SCT and 64SCT images outside the stent lumen: 265±25HU and 254±16HU (P=0.33), respectively. CT densities derived from the 64SCT images and 16SCT images within the stent lumen were 367±36HU versus 402±28HU, P<0.05, respectively. Inner and outer stent diameters as measured from 16SCT and 64SCT images were 2.68±0.08 mm versus 2.81±0.07 mm and 3.29±0.06 mm versus 3.18±0.07 mm (P<0.05), respectively. The new 64SCT scanner proved to be superior in the ex vivo assessment of coronary artery stents to the conventional 16SCT machine. Increased spatial resolution allows for improved assessment of the coronary artery stent lumen.